I am such a lucky girl. I entered a contest that Judi Ketteler, the writer of Sew Retro: A Stylish History of the Sewing Revolution, was running on her blog. All we needed to do was talk about how the fabulous Amy Butler—one of my very favorite fabric and pattern designers—has inspired us. I was so pumped to learn last week that I won Judi’s giveaway, which included a signed copy of her amazing book, five beautiful half-yards of Amy’s Midwest Modern collection, and five sewing patterns from Amy’s same collection. I’m not sure what I’m going to make first, though the Hostess Apron is tempting me. 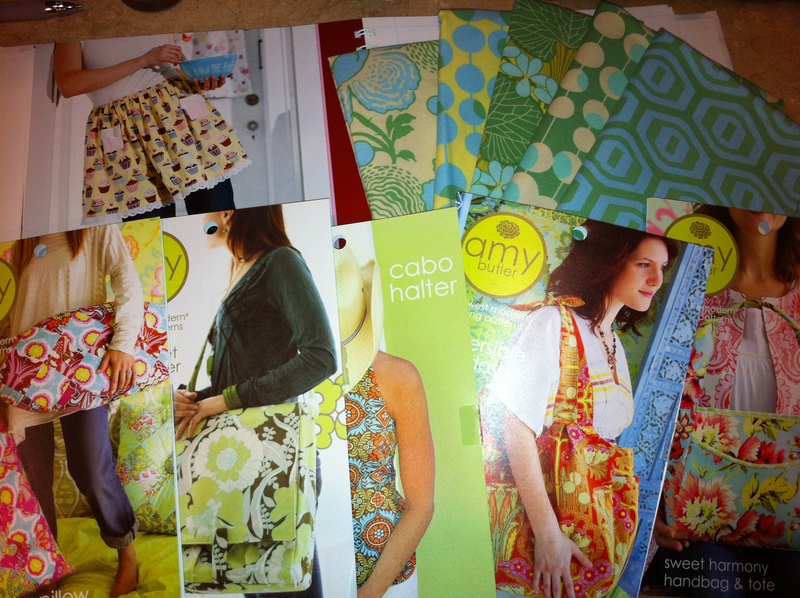 I’ve made a few things from Amy’s patterns before. 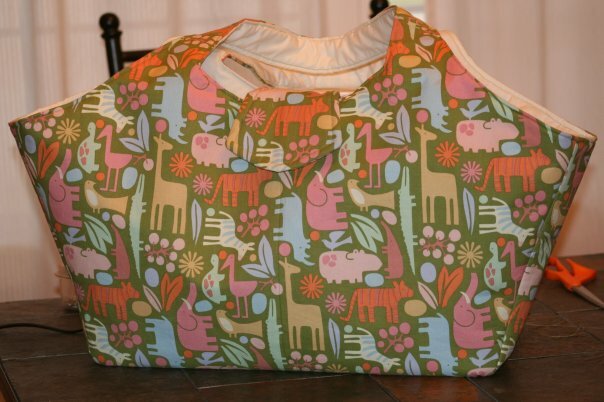 This diaper bag, which I made for my best friend, Kim, was my favorite, though. I can’t wait to get started. Plus, I was having a really bad week last week, and was given the book Baked: New Frontiers in Baking by The Owl and am itching to make homemade marshmallows, brownies and these butterscotch pudding tarts that look amazing. I absolutely cannot wait to be girly. More pictures to come! This is SOOOOOO cool! And, damn, you’re GOOD!!! Dang girl you are lucky.